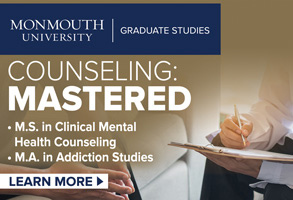 The academic evaluation of graduate students in counseling education programs is straightforward: Their ability to master the material becomes apparent in grades assigned and credits earned. “However, evaluating trainee competency in the domains of interpersonal behavior, intrapersonal functioning and professional conduct to determine readiness to practice is much more subjective,” write Alicia M. Homrich and Kathryn L. Henderson in the preface to their book Gatekeeping in the Mental Health Professions, published by the American Counseling Association. An important issue that is sometimes avoided, gatekeeping is of growing interest in the counseling profession and an often-discussed topic at professional conferences, Homrich notes. Homrich, a professor in the graduate studies in counseling program at Rollins College in Winter Park, Florida, and Henderson, an assistant professor in the Department of Counseling and Applied Behavioral Studies at the University of Saint Joseph in West Hartford, Connecticut, became friends through their mutual interest in the topic. Counseling Today sent the duo some questions to find out more. 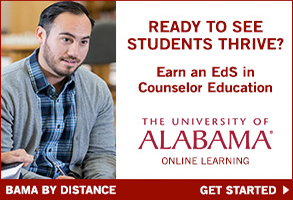 You are both counselor educators. How did you become confident and comfortable with the gatekeeping aspect of the job? Alicia M. Homrich: I don’t think gatekeeping is ever easy or comfortable. Every step of working with a student who is struggling with intrapersonal issues, interpersonal behavior and/or professional conduct concerns needs to be handled delicately and respectfully. There are criteria that have made the difference in the graduate program where I work: All faculty are in agreement about our ethical and legal obligation to gatekeep to protect future clients and the reputation of our profession. The second is the intentional formulation of strategies that include very clear standards for student behavior and published policies and procedures [which] students are informed of when they enter the program and throughout their enrollment. This ensures that remediation efforts are not a surprise, if they occur, and are intended to help get the student on the right track. Other than these two important tactics, we work as a team to make decisions on how to go forward. Group consensus and support for each other increase our comfort level so no one faculty member or supervisor is acting alone. We do the same by educating our site supervisors. Kathryn L. Henderson: Yes, never easy or comfortable. I find it so important and vital that it is a duty and not a choice. That’s what draws me to this topic. Especially when harm to a client is possible or there’s the concern a student might not be successful in the field after graduation. To me, that’s tantamount to lying by omission or false representation if we ignore serious concerns. It also does a great disservice to our students. Consulting with colleagues and mentors has been central to the development of my gatekeeping abilities. I find not being alone and having support to be essential. Do you believe that the counseling profession, as a whole, does a good job with gatekeeping? 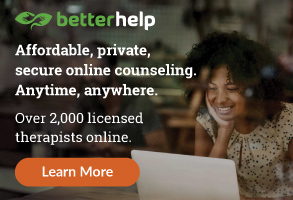 AMH: I believe the counseling profession does more than our allied professions to educate and inform gatekeepers of their roles, remediation strategies, and ethical and legal mandates. However, in terms of actual implementation of gatekeeping strategies, a lot of variation exists across counseling education programs nationwide. Some programs are diligent about their obligation to gatekeep — implementing policies, engaging in procedures and remediating or dismissing students or supervisees with personal or professional conduct [that is] inconsistent with profession standards. Other programs avoid the gatekeeping process altogether in order to retain students, avoid potential legal action or sidestep the uncomfortable emotional and time-consuming nature of the gatekeeping process. 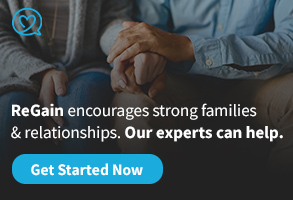 Despite this range of engagement, the counseling profession is one of two clinical training tracts that consistently takes gatekeeping seriously. Psychologists have paid the most attention to the responsibility of gatekeeping, as evidenced by task force work and literature. Social work comes third in the lineup, and marriage and family therapy appears to be the least attentive of the clinical professions in examining this issue and providing strategies as measured by their professional literature. Despite this variation, each profession acknowledges the need for a gatekeeping process in their ethics and standards. A continuum exists across professions that includes very conscientious educators and supervisors versus programs that don’t prioritize or are avoidant of the gatekeeping mandate described by their ethical codes. What resources would you recommend for counselor educators or supervisors who aren’t comfortable with gatekeeping and having tough conversations with counselors-in-training? AMH: Work with your colleagues to design and implement policies and procedures, and don’t go it alone, especially for serious conversations with trainees. 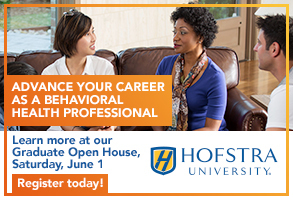 Obtain support for decision-making and action-taking from your professional colleagues, including department chairs, deans and administrators, as well as human resources, some of whom you may have to educate about our ethics and licensure obligations. I have also increased my comfort level by going to workshops hosted by ACA and the Association for Counselor Education and Supervision (ACES), as well as reading every professional article I can find on the topic. The goal of this book [Gatekeeping in the Mental Health Professions] has been to bring all of the knowledge and wisdom generated by the four allied mental health professions, along with strategies that work, together in one resource. KLH: One thing that helps me when I’m struggling with gatekeeping is to reflect on my own personal process and try to hunt for the source of the discomfort. Is it fear of hurting the student or supervisee? Second-guessing myself? Fear of confrontation or conflict? I find that dealing with my own discomfort head-on helps me to process through it more effectively. As for those tough conversations, I find empathy goes a long way. It does not mean agreeing with a trainee’s choices or actions, but it helps create a connection at times. Are there any misconceptions on this topic — particularly, ones held by counselors — that you want to clear up? KLH: One misconception, or perhaps a common fear, is that gatekeeping is always a negative experience — and it can be. However, I’ve had many constructive and positive outcomes from gatekeeping. Students sometimes will express gratitude in that no one has ever been that honest with them or they have not felt as if they mattered in the program but do now. AMH: I agree with Kathryn. The assumption that engaging in gatekeeping is overwhelming and conflictual is inconsistent with my experience. There are plenty of supervisees and students, whether they are the individuals engaged in remediation or not, who are appreciative that there are standards that protect future clients and the reputation of the profession. They also witness experienced members of the profession engaging in the process of protecting current students and supervisees, vulnerable clients and the reputation of the profession for which they are training. They appreciate the action of supervisors and faculty in gatekeeping efforts and go on to value and fulfill this ethical mandate after graduation. In the book’s preface, you write that evaluating a counselor trainee’s personal and professional conduct is subjective, not clearly defined, and “lacks common agreement within and across the mental health professions.” How can this be remedied, in your opinion? Or is it a concept that can’t be standardized? AMH: I believe it is a concept that can be standardized, at least in the counseling profession. I would love to see ACES initiate a task force that identifies standards for interpersonal, intrapersonal and professional qualities critical for professional counselors and [then] publish a set of best practice standards or a procedural list for the gatekeeping process that is supported by the division and ACA. This would provide a steppingstone or source of support for counselor educators and supervisors. I have conducted and published a few research projects on this topic in an effort to get the ball rolling. These studies and resulting lists of suggested standards and procedures are covered in the book. KLH: Yes, I agree totally. The field of psychology has done much more work through the American Psychological Association and its official task forces than [has] the counseling field, which we discuss in the book. Research is emerging that is promising and could inform any potential professional association task forces. I would love to see ACES or ACA initiate an effort as well to create best practice norms. A set of official best practice standards could also be a tool to advocate to university or agency administrators who may be wary of provoking unhappy students, similar to how the American School Counselor Association (ASCA) standards serve an important advocacy tool for school counselors. What inspired you to collaborate and create this book? KLH: Our main goal was to create a sort of one-stop shop for tools and resources on gatekeeping and remediation, which Alicia mentioned earlier. Instead of needing to do extensive research on the many aspects of gatekeeping, which can be overwhelming, the book serves as a thorough resource on how to implement gatekeeping. We hope, in particular, that it serves as a catalyst for new supervisors and doctoral students to undertake this important ethical task. The opportunity for us to collaborate happened at first by chance: We only know each other through meeting at professional conferences. We both would present on the topic and then attend other presentations on the topic, so we got to know one another over the years. And then we became friends. AMH: The development of our professional collaboration and resulting friendship has been based on our shared passion to improve our profession, demystify the gatekeeping process and encourage counselor educators and supervisors to engage in this vital professional responsibility. We wanted to provide information, strategies and skills that support the implementation of gatekeeping in training. Our friendship developed as we worked together to achieve these goals and came to know each other better. Why do you feel the book is relevant and needed now? KLH: The literature in the field has developed to a level where compiling the findings in the form of a book to encourage application of the information was logical. This is something that clinical educators and supervisors are actively trying to understand and implement. For instance, the topic of gatekeeping is growing in popularity. It was scarcely on the map about a decade ago, and then it exploded and continues to be a common topic at conferences. Because of the many ethical and legal issues attached to gatekeeping, it is important that counselor educators and supervisors practice in an informed and progressive way, for the protection of the field and to strive in the best interests of our students and supervisees. 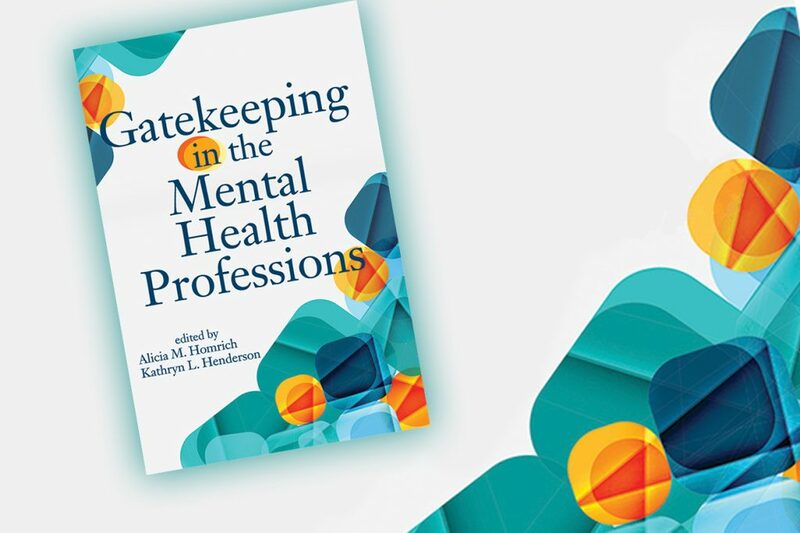 Gatekeeping in the Mental Health Professions is available both in print and as an e-book from the American Counseling Association bookstore at counseling.org/publications/bookstore or by calling 800-347-6647 ext. 222.